The If Else statement in C Programming is an extension to the If Statement in C (which we discussed in the earlier post). We already seen the If statement, it will only executes the statements when the given condition is true and if the condition is false, it will not execute statements. 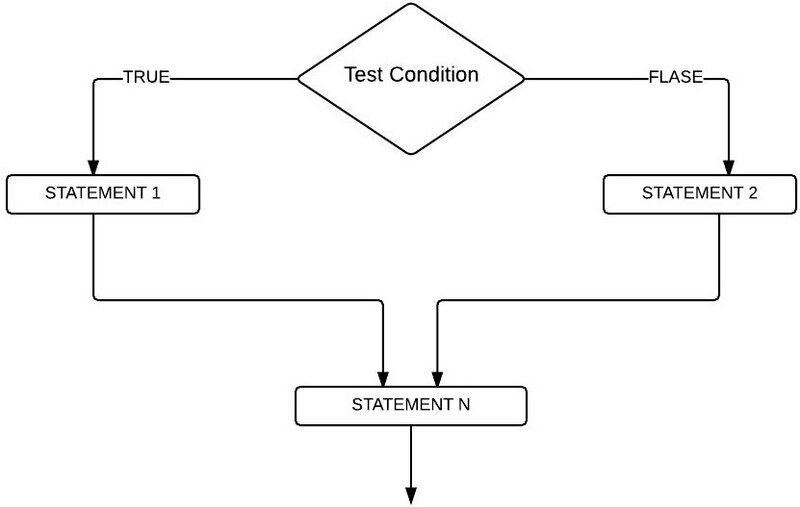 If the test condition present in the above structure is true then True statements will be executed. When the condition is false, False statements will execute. 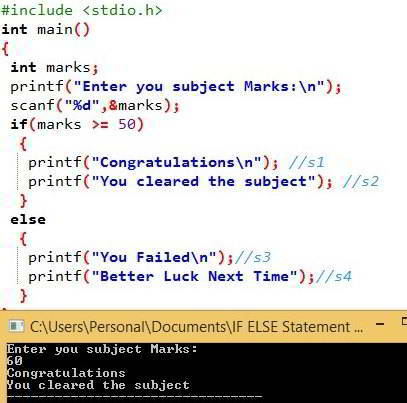 In this program we are going to place 4 different printf statements. If the condition is true we will print 2 different statements, if the condition is false we will print another 2 statements. Analysis: User enters his marks, and if the marks is greater than or equal to 50 then s1, s2 will print. If the marks is less than 50 then s3 and s4 will print as an output.